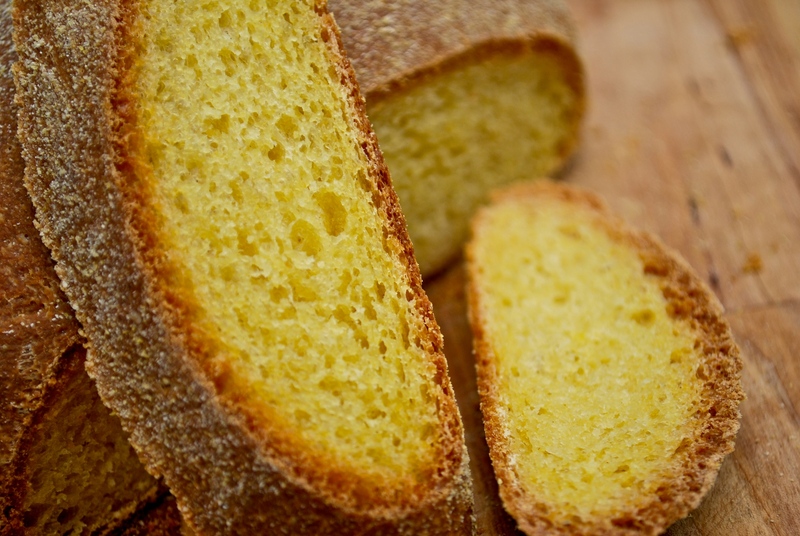 Corn bread (broa de milho) is common throughout most of Portugal. With its crisp crust and rich texture it is served as an accompaniment to any sort of meal and a traditional mate for grilled sardines. In traditional feiras a piece of broa is often used to support a sardine, soaking up all the juices and flavour. This is a simplified recipe which can be mixed in a bread maker (dough setting) or in a mixer with a dough paddle. A bread based dish popular in Alentejo, this is a variation on the migas from Frey Papinhas in Castelo Branco . Alentejo cooking can transform the simplest ingredients into delicious dishes. As with all bread dishes, the quality of the final thing depends on the quality of the bread. This recipe calls for corn bread (broa) though it can be made with any solid traditional bread. Migas is a delicious accompaniment to grilled meats, and grilled or fried fish.